Good location, though a bit quiet walking back at night. Reasonably cheap, but no bargain. Hot water was reliable. Shared toilets and bathrooms were very clean. 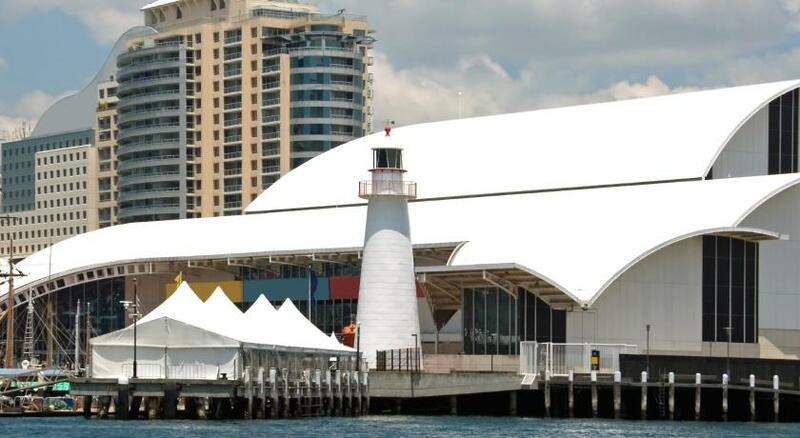 It is in a walking distance from the darling harbor, but you have to be careful, if you miss the bridge connecting the hotel to the harbor, you will have to walk a long distance. Easy check in, friendly staff, excellent location, unexpectedly quiet and very cheap. The room was equipped with a fridge,kettle and hairdryer. And the room has a sink which is quite accomodating. Location, location, location. The place offers no extras, breakfast is cold cereal and canned fruit with coffee. But you can't beat the location and the room was clean and actually spacious for 4 adults. Location, convenience, inexpensive parking (with voucher), room had fridge. We booked the standard double bed room. The room is large with a sink. We got not only a double bed but also extra bunk beds in our room. The common bathroom is very clean. 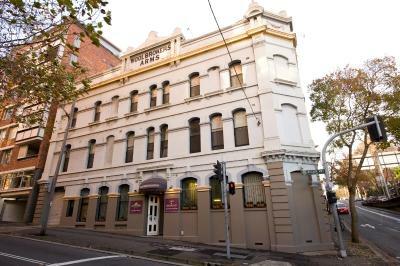 Woolbrokers Hotel This rating is a reflection of how the property compares to the industry standard when it comes to price, facilities and services available. It's based on a self-evaluation by the property. Use this rating to help choose your stay! 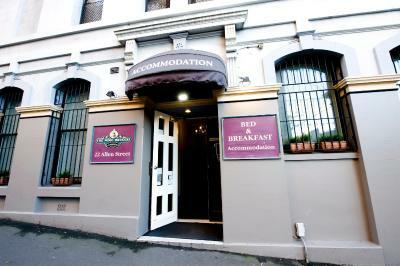 Woolbrokers Hotel offers affordable accommodations next to Sydney’s Darling Harbor, 5 minutes’ walk from the waterfront. Guests have access to a peaceful outdoor courtyard. Free WiFi is available. 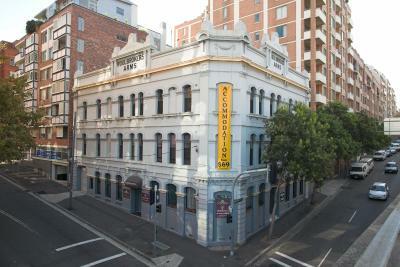 The Woolbrokers Sydney is a 10-minute walk from the Powerhouse Museum and Sydney Fish Market. 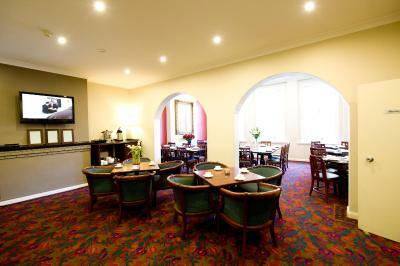 Guests can enjoy continental breakfast in the dining room or out in the courtyard. Free luggage storage is provided. Guest laundry, drying and ironing facilities are available. 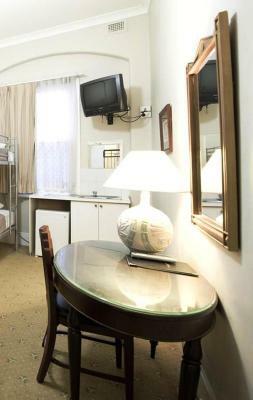 Each room features a refrigerator, TV and tea/coffee making facilities. Heating and ceiling fans are provided. Rooms with private bathroom are available. 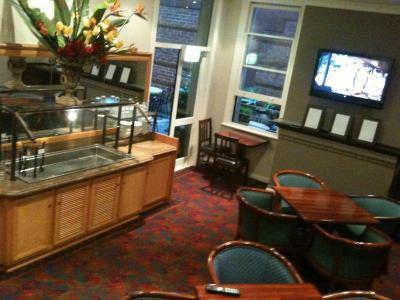 The friendly staff at the Woolbrokers Hotel can arrange tour bookings, airport transfers, taxi and car rental services. When would you like to stay at Woolbrokers Hotel? Please note that the shared bathroom is located across the hallway from the room. Public parking is available at a location nearby (reservation is not needed) and costs AUD 19 per day. This large room has its own private bathroom. This room has 2 sets of bunk beds, a TV, bar sized refrigerator, tea/coffee making facilities, fan, heater and opening windows. Guests have access to shared bathroom facilities. 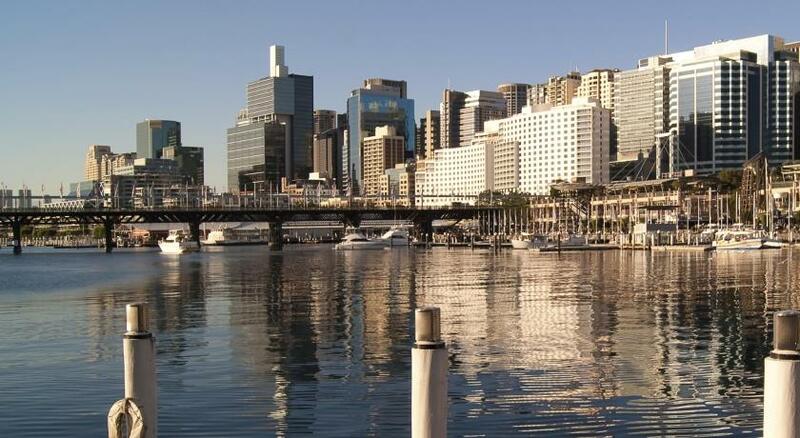 The Woolbrokers Hotel is located metres away from the stunning waterfront of Darling Harbour. 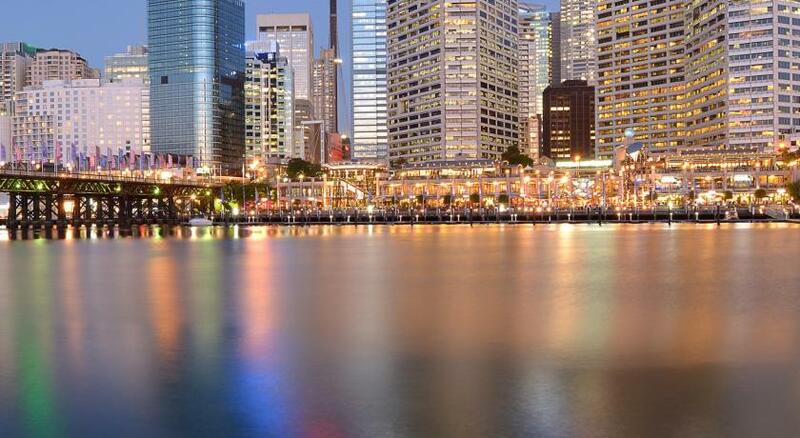 Easy access to Sydney's major attractions. A fabulous located at affordable prices. We have a generous choice of single, double and family rooms. 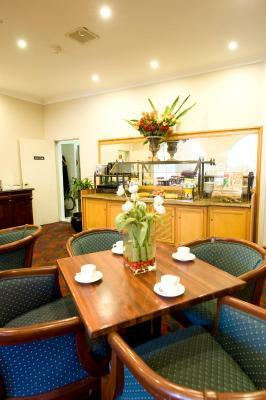 We have variety of standard rooms based on shared bathrooms as well as ensuite rooms. We have discounted parking located across the road from the hotel. House Rules Woolbrokers Hotel takes special requests – add in the next step! Woolbrokers Hotel accepts these cards and reserves the right to temporarily hold an amount prior to arrival. We were upgraded to a large room, the Wi-Fi was good and the room was comfortable. The shower wasn't completely clean. There was something black between the tiles. Not sure if it was mould. The courtyard allowed smokers so we couldn’t leave our window open. The room was clean, a lot bigger than I was expecting and we also had a fridge in the room. The lack of cleanliness throughout the room including the state of the mattresses, for what ever reason, one had chewing gum residue left on it and another appeared to have blood on it. The main bed itself was a split design, however one side was clearly damged resulting in a lean to the outer side of the bed when laying on it. Uncertain that a proper clean had been conducted prior to our arrival as there was left over (what appeared to be) tobacco and a hairband left on the floor. Noting the state of the room, we didn't stay the second the second night and checked out early. The location was the most and apparently the only appealing component of our stay. Traffic noise by the cross road. the bathroom and the beds were very uncomfortable. All the lightsb in the building were on all night long and the curtains hardly blocked out any light, this made it incredibly difficult to sleep. I also didn't like the fact that the "double" bed was actually two small singles pushed together. The lighting in the room itself was also very dull. It was so cheap for the location and the fact I had the whole room to myself that it made it worth it to put up with poor lighting and a poor breakfast as I was only staying for one night. there was a blood stain on one of the bunk mattress. 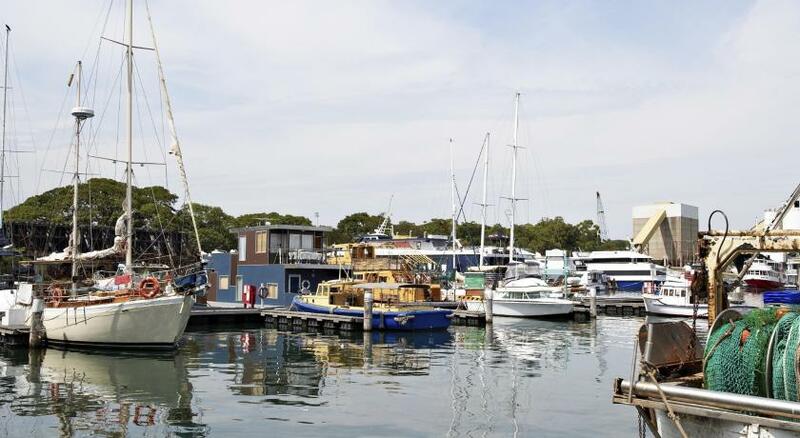 I was looking for cheap accommodation near Maritime Museum and got it. The bed was very comfortable and quantity is hot water in shower amazing - could do with a real scrub though.